The First Fortnight mental health arts festival is currently taking place across 17 counties in Ireland for the first two weeks in January. The festival is made up of Arts events aimed at challenging mental health stigma. 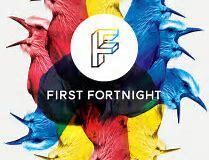 First Fortnight first began eight years ago by a group of volunteers who saw the need for more open dialogue around mental health in Ireland.This year there is a lineup of over 100 live events including concerts, spoken word events and theatre performances. The Festival creates a space where people can talk about mental health issues in a non scripted manner. The hope is that the festival will help to change people’s perceptions of and raise awareness on mental health challenging prejudice and ending stigma.